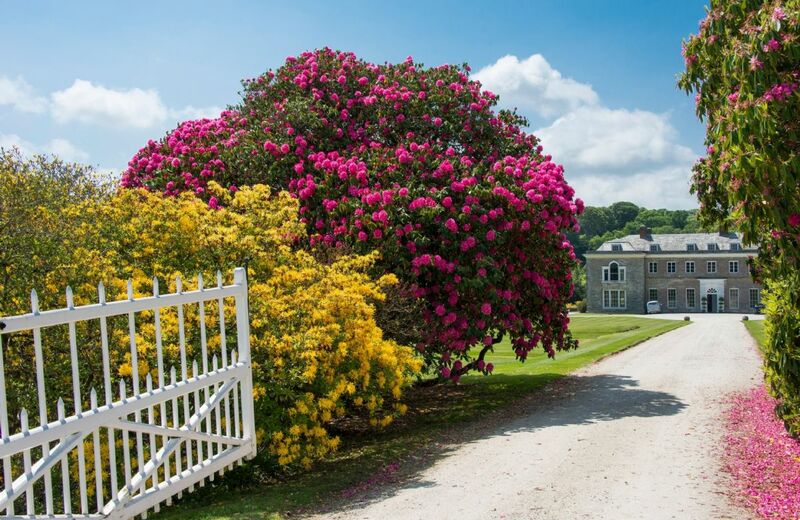 Boconnoc House is situated within a fine, private estate amongst rolling parkland, woods and farmland just a few miles from the Cornish coastline. 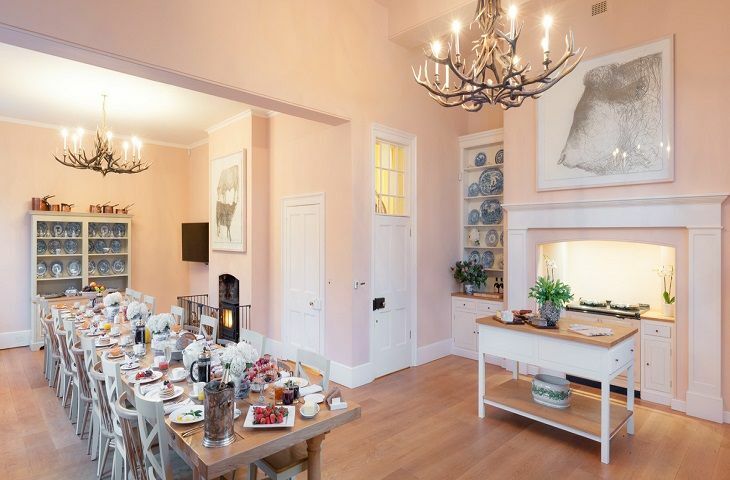 A perfect location for a special occasion, large groups of families and friends can enjoy a luxury stay, with nine bedrooms and nine bathrooms, four large reception rooms, two kitchens, games room and library with cinema projector as well as beautiful gardens to explore and relax in. 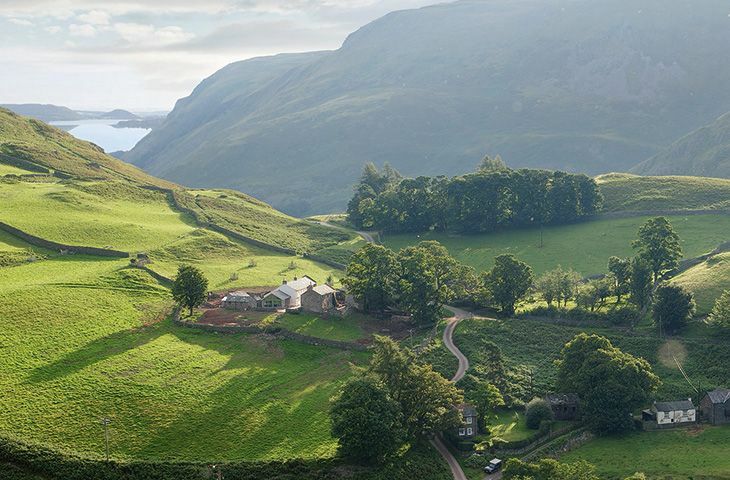 Hause Hall Farm is located part way up Hallin Fell at the south end of Ullswater. It offers spectacular views over the fells and up into the valleys. 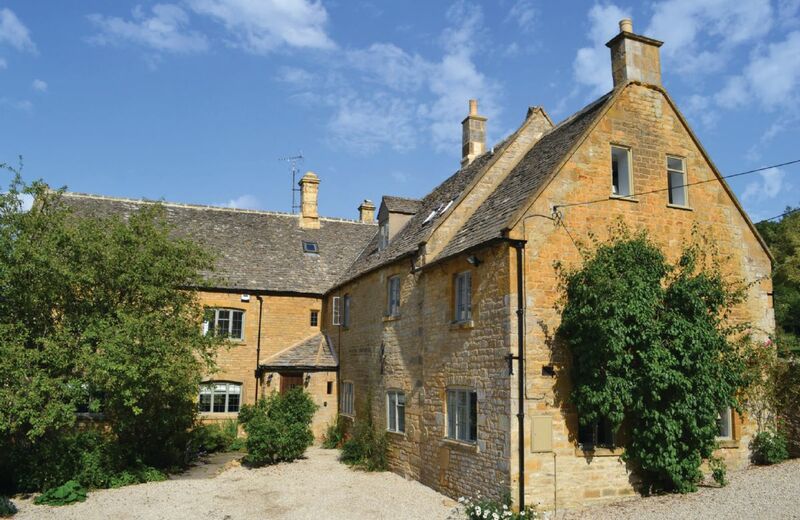 With the adjacent Cruik Barn and Stables it provides accommodation for up to 18 guests. 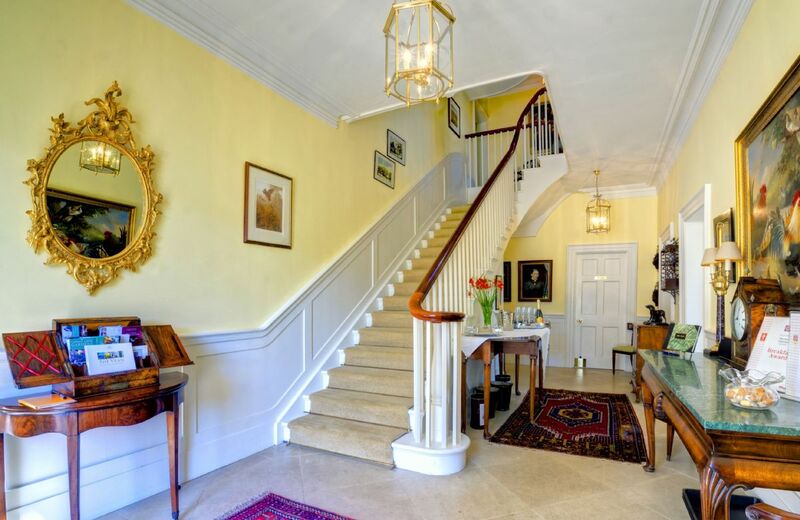 This fine house, in the village of Melmerby in the Eden Valley, is a 5 Star Gold Award winning Grade II listed manor house with nine bedrooms and nine bath/shower rooms. 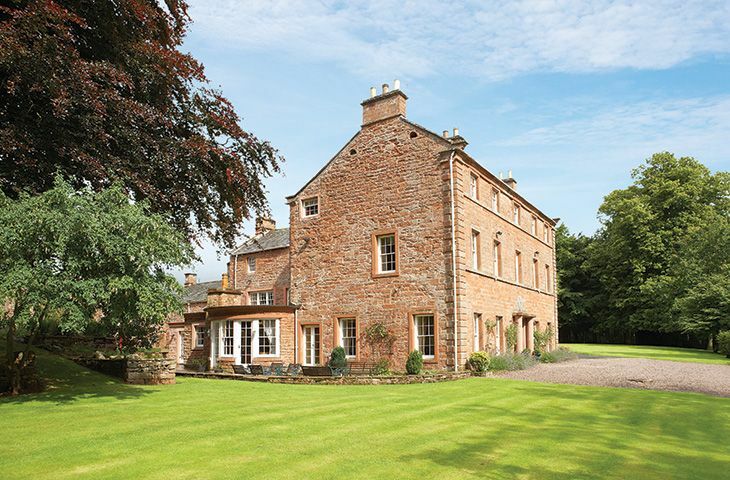 It is set within its own sandstone walled grounds extending to 25 acres. For holidays taken between 21 March 2019 And 5 September 2019 Minimum of 3 nights booking. 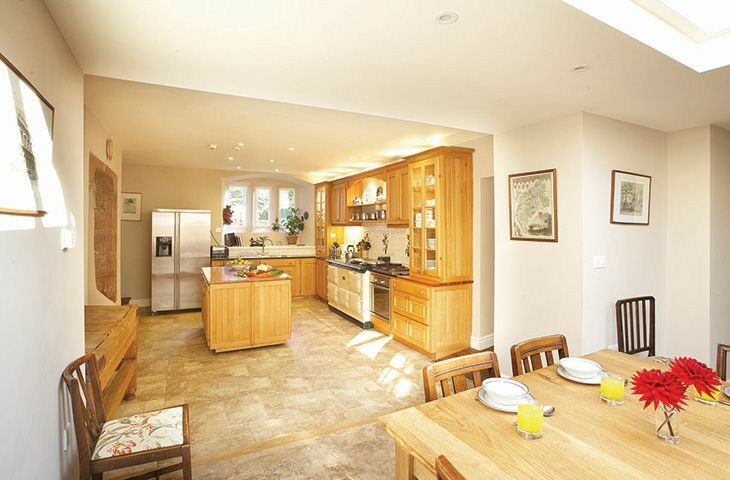 Beautifully turned out, comfortable and welcoming house in a superb location. The owner was extremely helpful with my many queries and very accessible. The gorgeous weather helped, but I could imagine a stay at Aston Hill being great whatever time of year. Churchill Arms for Sunday lunch was another highlight, just a few minutes walk away. Fabulous house and grounds (complete with pool). One small downside in our view are the showers in the house. Of all the bathrooms in the main house, only one had a decent shower/one that worked properly. The shower in the pool house was also great. Wonderful house, beautifully furnished with beautiful gardens, pool and great tennis court. The owner was extremely welcoming and very helpful. In one word "gorgeous". Super hamper. 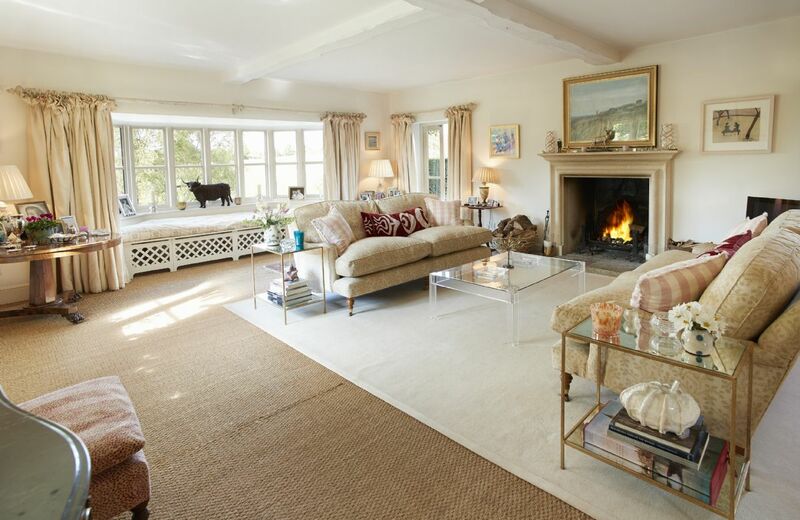 All that you could wish for superb house, gardens, pool in the most delightful setting. Why go abroad when one can have all this at home. Stayed for one week with all the family and had the best holiday ever. 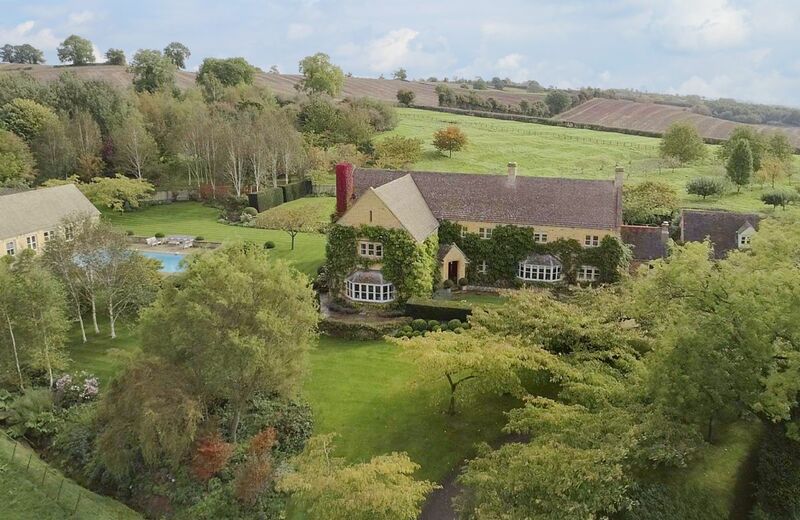 This stunning Cotswolds holiday home sits within 15 acres of countryside and features a swimming pool with pool house and a grass tennis court. 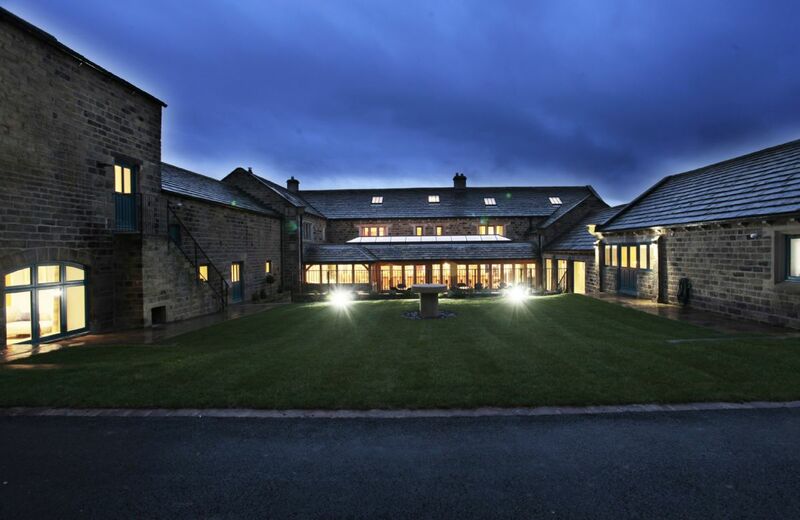 Aston Hill House is a truly special place for celebrations and weekend getaways with family or friends. I was with family and friends and to have everyone together under on roof was wonderful. The weather was great and so made good use of the outside space. However I was disappointed at the cleanliness of the houses. Very dusty with lots of cobwebs. 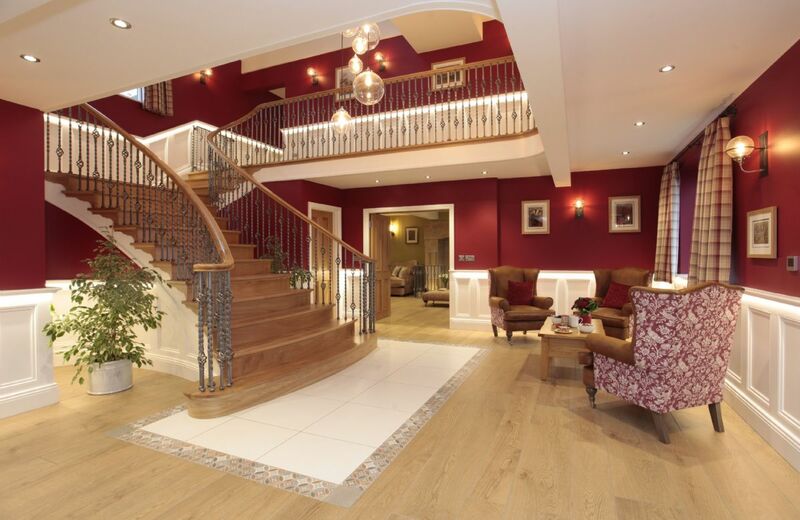 A wonderful property, you felt like you were on a film set with the large and spacious rooms. 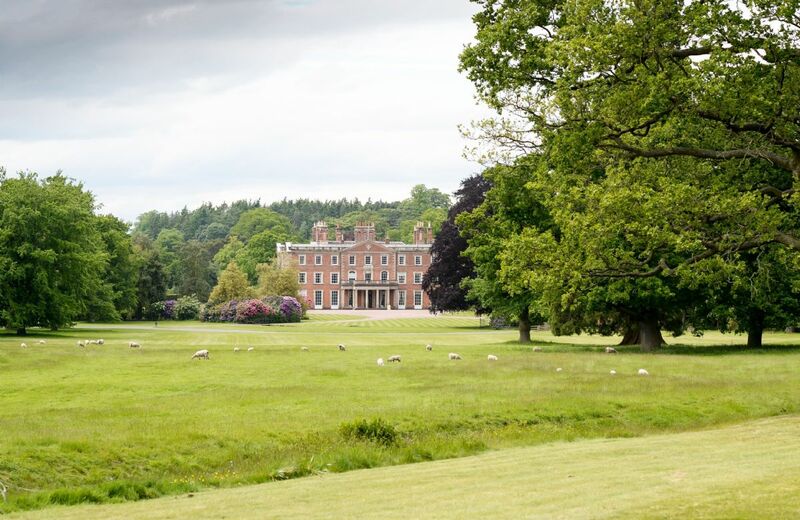 I could just envisage previous occupants of centries ago enjoying the house and grounds as well.Superb grounds that all ages could enjoy. Perfect place to celebrate my eldest granddaughter’s 21st birthday. 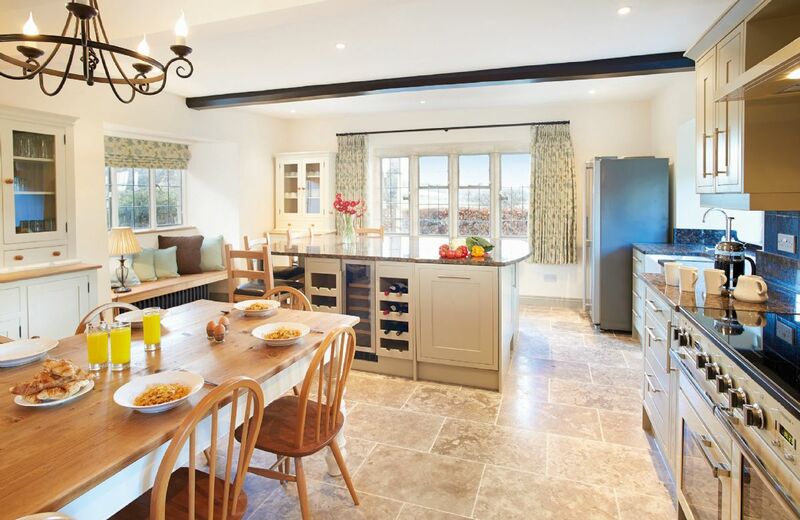 The house was ideal for a large family gathering, adults, children, dogs. There were a few plumbing issues with two toilets malfunctioning, but this did not spoil things. We had a fantastic 5 day break over Christmas 2017. 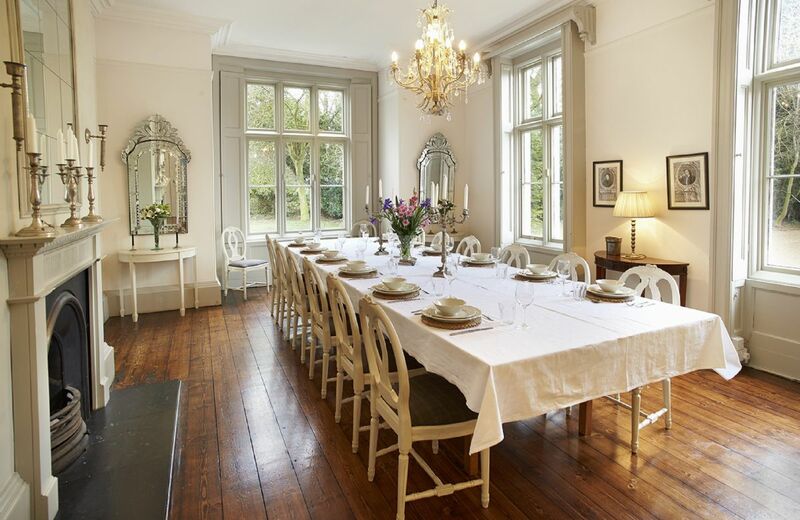 The house has everything you need for a big group, plenty of social space, the dining was fab for Christmas dinner. The kitchen had everything you needed and considering how cold the weather was whilst we were there the house was lovely and warm. We will definitely be back! The Old Rectory and Coach House were both perfectly comfortable, and clean but the cooker didn't work very well.. The only real other disappointments were the tennis court, which was covered in black soil, and one of goals on the football pitch was broken in several places. Many of the group were looking forward to playing tennis/ football as advertised, and were correspondingly disappointed. Thank you for your feedback. I am very sorry about the cooker and also the tennis court and football goal. I appreciate that members of your group would have been disappointed and I will certainly be looking into this. Great location, fantastic welcome from house keeper. Exterior a little run down and needs some TLC. The house needs a new WiFi Router, may not be significant if on holiday but when using site as a business location fell short of need. 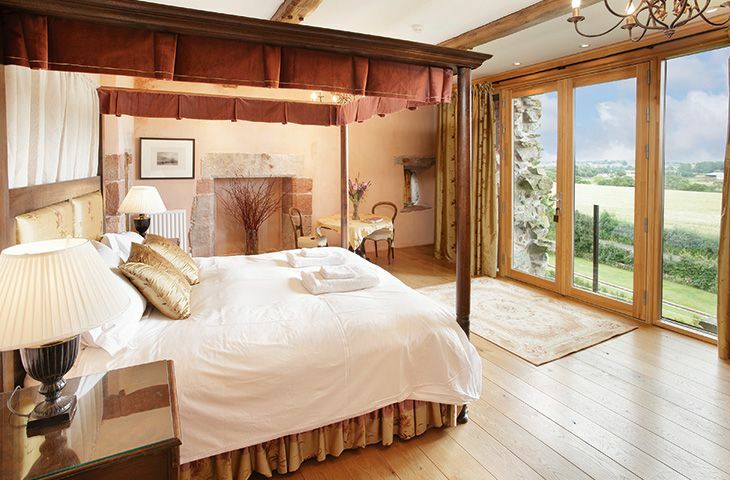 Thank you for your review of the Old Rectory and Coach House. We are pleased you loved the location and the welcome. May I draw your attention to the following paragraph on the web page - *Please note that internet access is offered at this property for recreational purposes only and is not meant for business use.Speed/service may vary depending on the package obtained by the owner which is provided to guests free of charge. 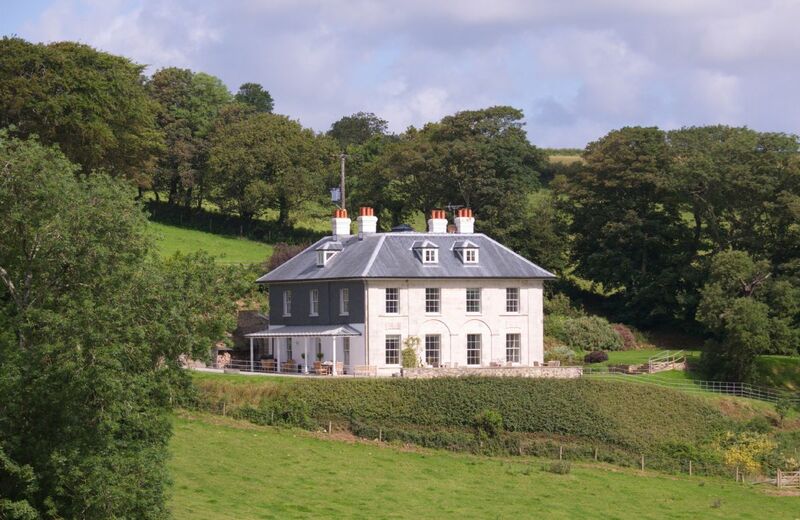 House and grounds were lovely but he paintwork and decor were not as prestige as at other Rural Retreats properties. Thank you for reviewing your stay at The Old Rectory and Coach House. 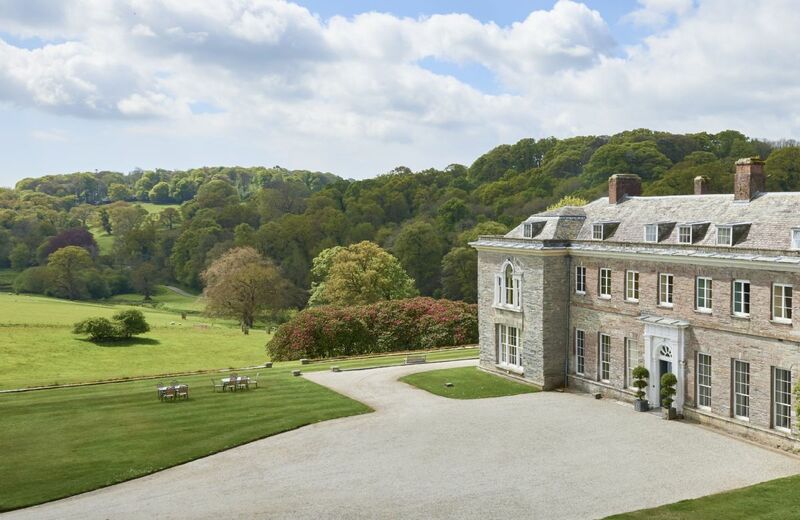 I am really glad that you found the grounds and house were lovely, however, I am sorry to hear the the paintwork and decor was not as prestige as other Rural Retreat properties. I will get in contact with the owner and raise the points regarding decor and look forward to receiving the feedback. We welcome you back again to another Rural Retreat property very soon. Property was very cold when we arrived and the housekeeper was very quick to get the whole place warm and comfortable for us. Unobtrusive but always there when we had a question or needed anything. Comfortable beds, plenty of good towels and reliable hot water meant that we could really relax! We would like to ask that the catches on the attic windows are replaced with ones that have a restricted opening. The three year old was sleeping in the coach house and we wouldn't allow her up to the main house attics, but some people might expect to put small children in those rooms. Lovely house well equipped and very comfortable beds. Fantastic location! The children enjoyed exploring the vast grounds. Everything was clean and tidy on arrival. The housekeeper was helpful and easily contacted but was not intrusive in any way. Thanks for allowing us to use your house for our multi-generational family holiday. We have fedback that we were very disappointed to find the kitchen dirty and smelling of curry. I had to clean the fridge, cooker oven, cooker top, microwave, floor and some crockery on arrival. This was real shame as the day of arrival was my 40th birthday and I really I had no intention of having to do a deep clean on a special day. There was no hoover also which would have helped. The bedding and towels were clean. The bbq was dirty and the garden furniture needed cleaning. The nettles in the garden was really disappointing in the flower beds as the children often got stung and it also looked unkept. The drains had an overflow issue outside the kitchen which was smelly on the driveway. Overall we had a very good stay because we were with friends and the kids enjoyed the space. I would consider returning if I could be assured of the cleanliness of the kitchen and that the garden would have greater care. 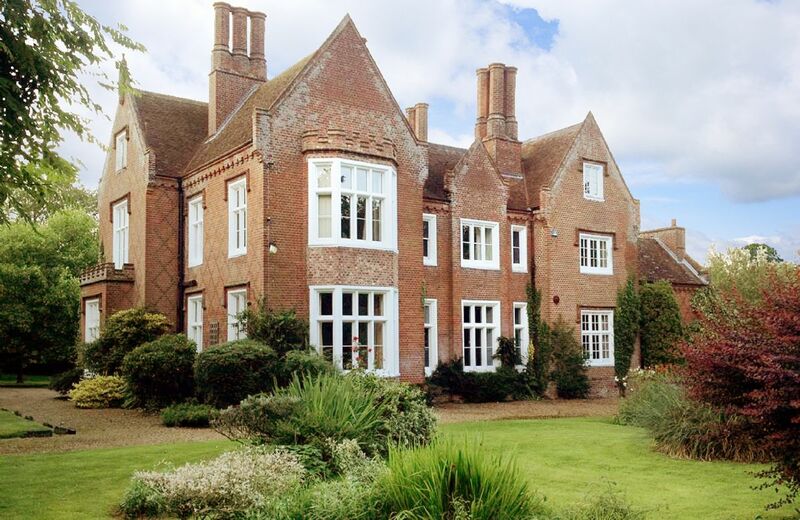 The Old Rectory stands in its own parkland near North Tuddenham. 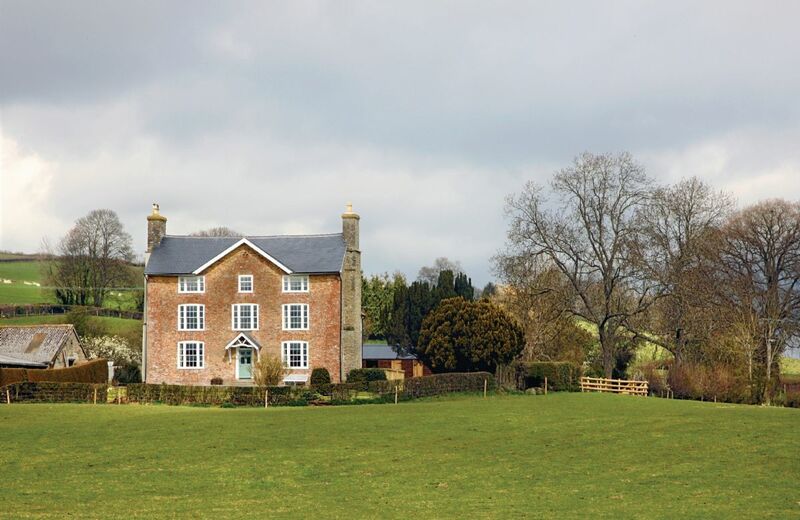 The poet William Cowper stayed in the original rectory, but the present building dates from 1852. 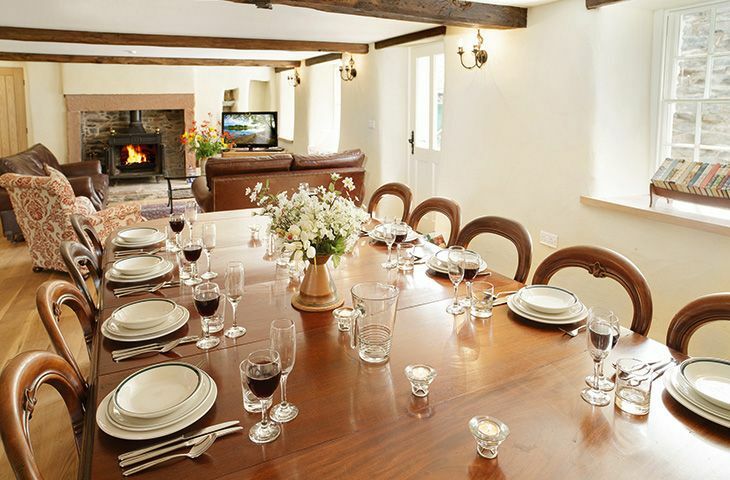 With the Coach House next door, it accommodates up to 20 guests. 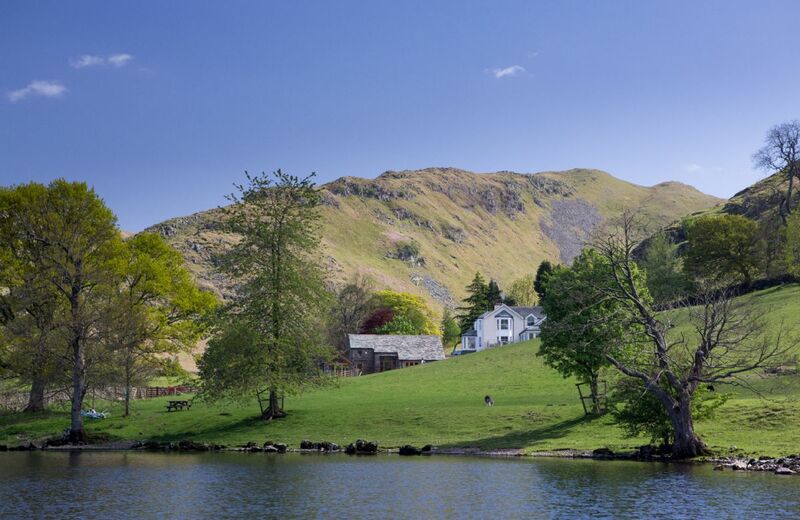 This magnificent private estate on the edge of Lake Ullswater comprises Waternook and The Great Barn and can be booked for your exclusive use. 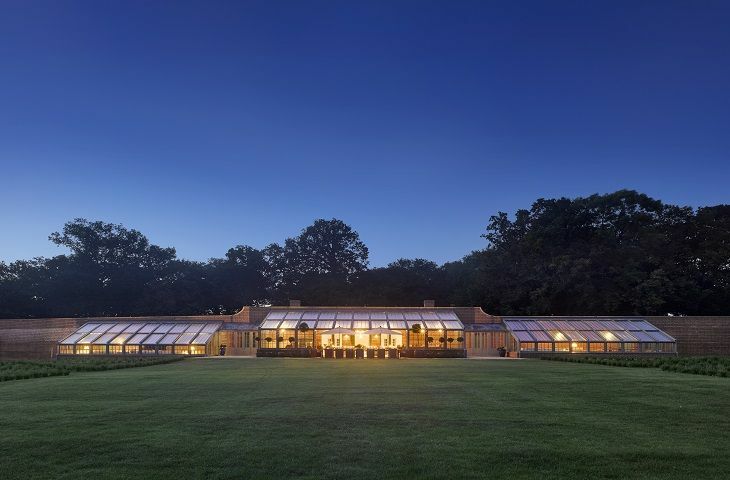 Set within 26 acres of private grounds with half a mile of lake shoreline, there are breath-taking uninterrupted panoramic views as far as the eye can see. 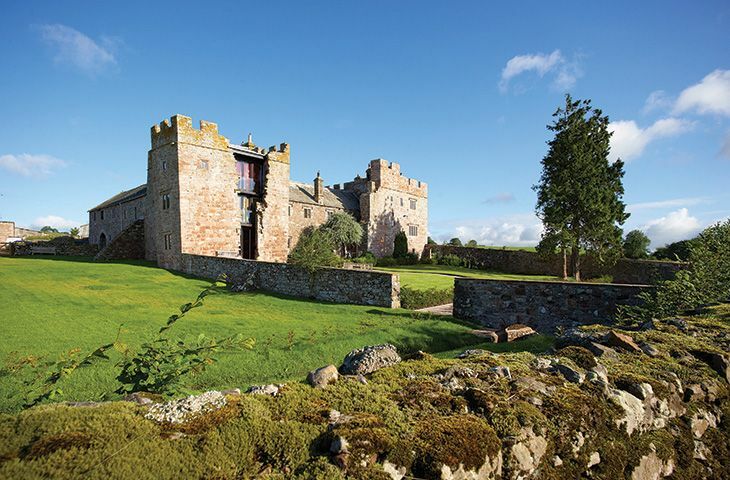 This multi award-winning exceptional Grade I listed fortified manor dating back to the 1400s has undergone extensive renovation. 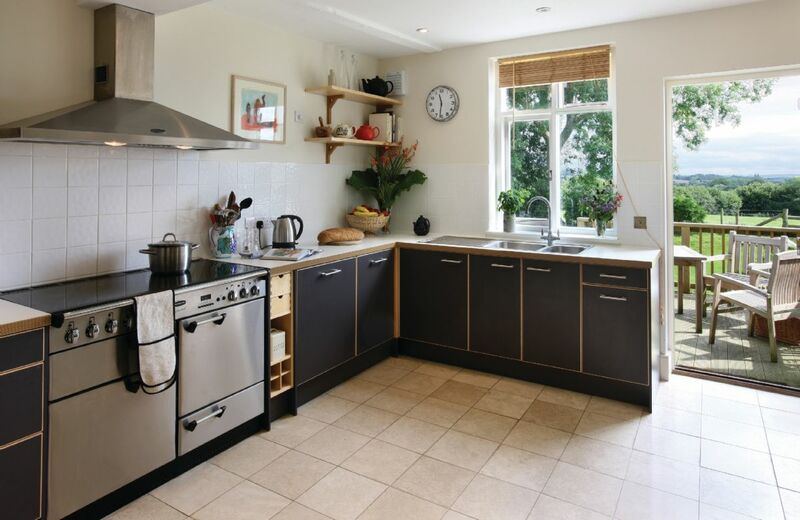 It has views to the nearby Lakeland fells and is just four miles from the Lake District National Park. 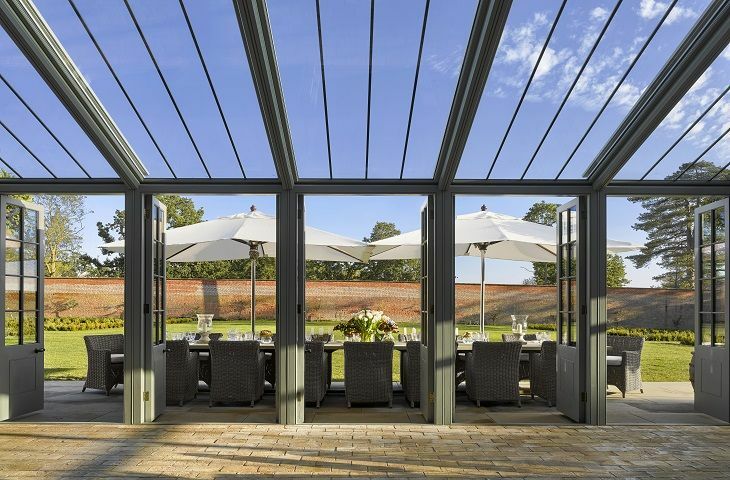 The manor, with its classic Georgian proportions, luxurious en-suite bedrooms and contemporary features including gym, games room, cinema and naturally-filtered pool and hot tub, make this the perfect exclusive-use location for birthdays, anniversaries and special celebrations. 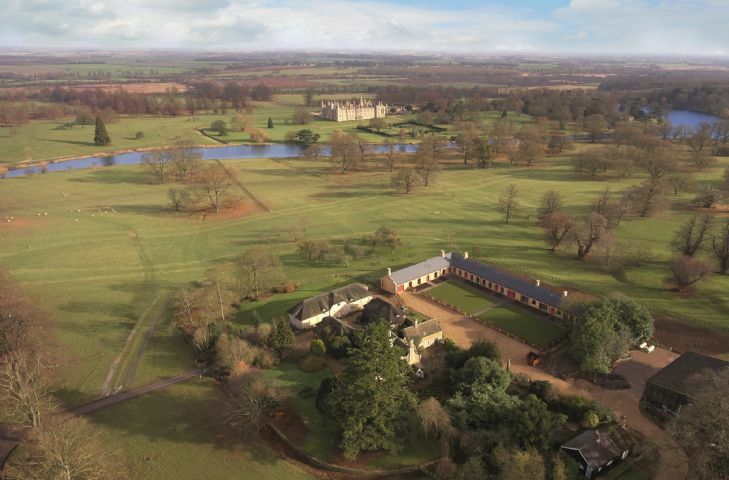 Set within a 4,500 acre private country estate. What goes on behind these walls? 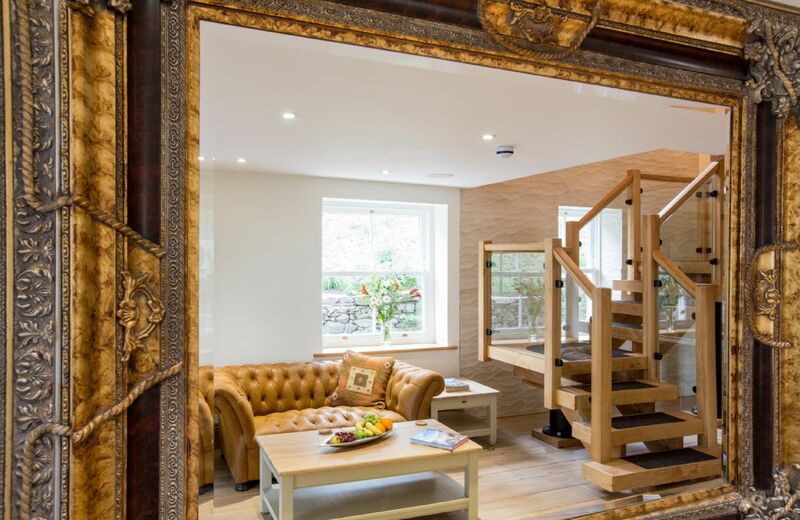 Drinks, dinners and downtime for guests spread over 12 large bedrooms. 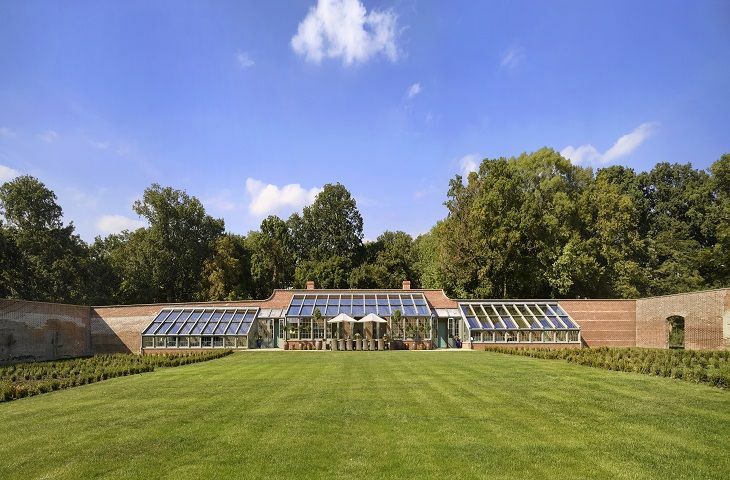 Your private garden to barbecue, relax under the stars or drink coffee before a long walk. 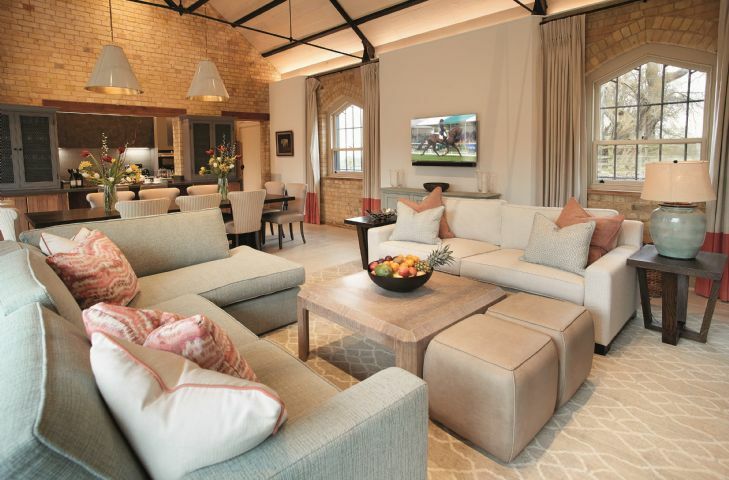 Rebuilt and completely refurbished in 2018, Spicer Manor looks like a traditional brick farmhouse from the outside, but has all mod cons on the inside, including a state-of-the-art cinema, SONOS music system and underfloor heating in all three floors. 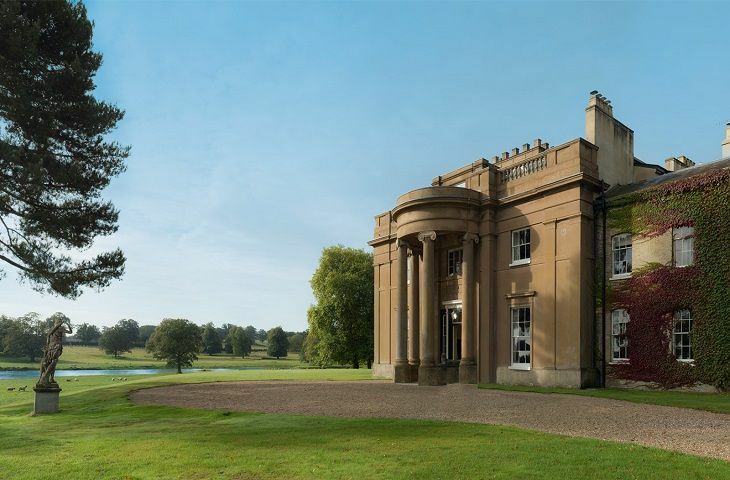 Set in stunning formal parkland amongst 1,000 acres of Capability Brown landscaped parkland, Weston Park, with its classic architecture offers all the grandeur you would expect from a stately home. 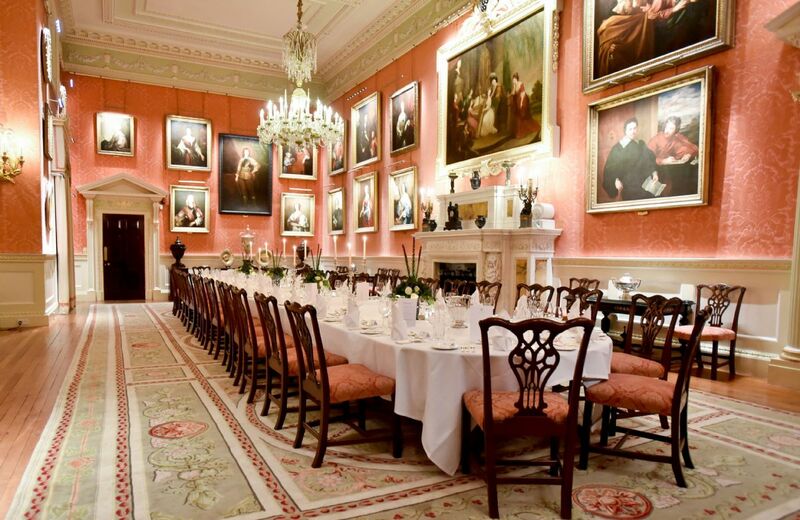 The price of £250 is based on per person per night for a minimum of 24 guests staying in 12 double bedrooms, this would include private use of the House, staffed with butlers, chefs and housekeepers, a 4-course set dinner with coffee and petit fours, overnight accommodation and full English breakfast with a selection of newspapers.